With 19 offices spread all over the United States and 450 attorneys currently employed with it, Marshall, Dennehey, Warner, Coleman, & Goggin is a premier law firm, exclusively devoted to defense litigation. The firm specializes in healthcare law, white collar crime, technology, media and entertainment, intellectual property, real estate, insurance, environment, employment, commercial and class action litigation, retail, property and product liability, construction injury litigation, aviation and complex litigation, as well as asbestos and mass tort litigation. Since its formation in 1962, Marshall, Dennehey, Warner, Coleman, & Goggin has been firmly committed to the principles of client service and leadership. The firm has been recognized by the Delaware Valley Total Quality Consortium. Thomas A. Brophy is the CEO & President of Marshall, Dennehey, Warner, Coleman, & Goggin. A graduate of Temple University’s School of Law, he is qualified to practice before the U.S. Supreme Court, and the state bar of Pennsylvania, amongst other courts. Brophy has been consistently named in Pennsylvania Super Lawyer, a prestigious publication, for the past seven years. He specializes in medical malpractice, products liability, premise liability, and amusement, sports and entertainment liability. Peter S. Miller is the Chairman and CO of Marshall, Dennehey, Warner, Coleman, & Goggin. A graduate of the University of Stetson’s College of Law, he practices before the U.S. Supreme Court and the state bar of Pennsylvania. Miller specializes in municipal liability, employment practices liability, products liability , medical malpractice and premises liability. Since 2001, he has been consistently named in Best Lawyers in America. Philip B. Toran is the Chairman, and the Executive Committee member of the firm. He obtained his law degree from Temple University’s School of Law and has been admitted to practice before the U.S. Supreme Court, and the Pennsylvania state bar, amongst other courts of law. Toran specializes in professional liability and has also been named in Pennsylvania Super Lawyer for the past seven years. The firm in conjunction with various charitable organizations is deeply involved in community development in locations where its offices are situated. Thus, not only do the attorneys at the firm follow professional ethics with a devoted enthusiasm, they also contribute significantly to their society. Q:What particular areas health care does Marshall Dennehey Warner Coleman Goggin provide legal services in?  A:The Marshall Dennehey Warner Coleman Goggin extensively deals in health care cases. Some of the areas covered are Birth Injury Litigation, Health Care Liability, Long Term Care Liability, Health Care Governmental Compliance and Medical Devise and Pharmaceutical Liability. The firm has a number of major victories to its name in health care liability matters. Q:Do attorneys at Marshall Dennehey Warner Coleman provide services in retail liability cases? A:The attorneys at Marshall Dennehey Warner Coleman provide a number of services in retail liability cases. Some of the areas extensively covered are Premises Liability, Professional Liability, Retail Theft, Product Liability, Fraudulent Claims, and Lease Agreement Obligations. The firm has provided legal services to retail outfits in Philadelphia, Pittsburg, Jacksonville, FT Lauderdale, Tampa and Orlando.